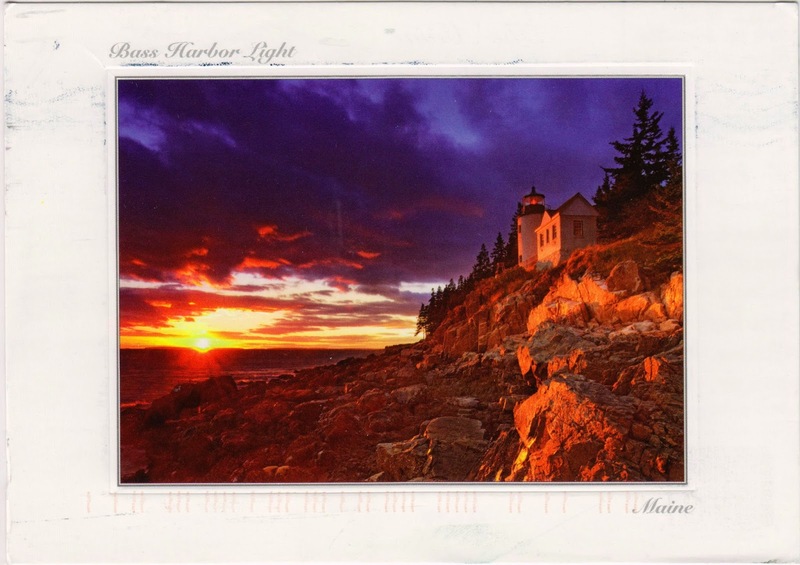 Postcard US-2859863 from Maine shows Bass Harbor Head Light, located within Acadia National Park on the southeast corner of Mount Desert Island, Maine. According to Wikipedia: "the history of Bass Harbor Head Light started in 1855 when it was deemed that there was sufficient reason for a lighthouse at the mouth of Bass Harbor. $5000 was appropriated by Congress for its construction in 1858. The construction of a fog bell and tower, which no longer remains today, was completed in 1876 with a much larger 4000 pound (1800 kg) bell being placed inside the tower in 1898. The keeper's house remains in its original configuration with the exception of a 10-foot addition that was added in 1900. The lighthouse was added to the National Register of Historic Places as Bass Harbor Head Light Station on January 21, 1988, reference number 87002273. In 1902, an oil storage house constructed of brick was built 205 feet northwest of the lighthouse." 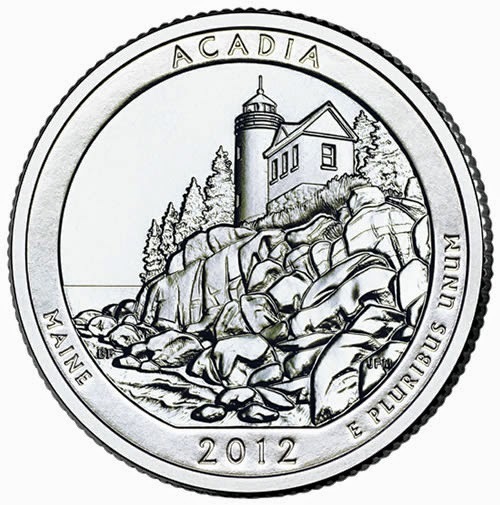 US Mint issued the Acadia National Park quarter in 2012 as part of the America the Beautiful Quarters Program, featuring a view of the Bass Harbor Head Light and other representative elements such as the coastline, the pine trees and the ocean.